Apple on Friday released iOS 8.4.1, a minor update for the operating system that powers the iPhone, iPad and iPod touch. This update primarily fixes bugs in Apple Music, the company’s music streaming service that was launched in June along with iOS 8.4. 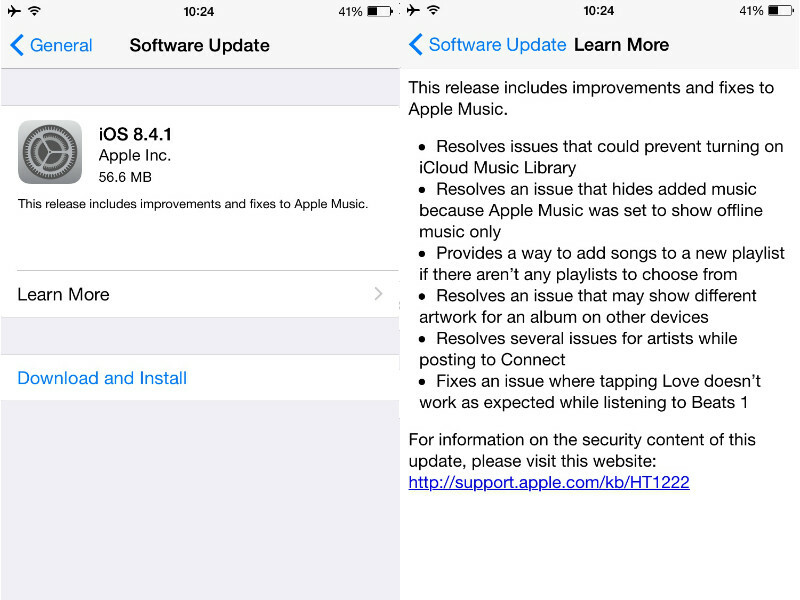 Apart from fixing several Apple Music bugs, the iOS 8.4.1 update fixes an issue that could prevent some users from turning on iCloud Music Library. This is probably the last update for iOS 8 as Apple prepares to unveil iOS 9 next month, alongside its new iPhone models – expected to be called the iPhone 6s and iPhone 6s Plus. Like always, the update is available via the Settings app on iOS 8. This can be downloaded over-the-air or by connecting your iOS device to iTunes. We recommend taking a full backup of your iOS device before updating.